Enjoy life on the open road, exploring the UK and Europe's stunning scenery from the comfort and freedom of your own home on wheels. Owning your own motorhome or campervan opens up a world of opportunities, the flexibility to travel as and when you wish, stopping wherever takes your fancy. It is a fun and economical way to holiday with family and friends. We are pleased to offer a range of quality pre-loved motorhomes at excellent prices, please browse our stocklist and get in touch to arrange a viewing. This 2 berth 2001 Autocruise Wentworth is powered by a large 2.5 Turbo Diesel Peugeot Boxer that has only covered 64,000 miles. This top of the range luxury two berth motorhome as a whole host of extras and is great for a couple looking for that extra bit of space. 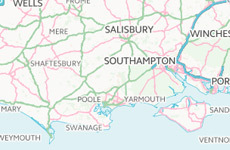 The area we cover is roughly shown below, encompassing Dorset, Hampshire, Wiltshire and Somerset, but we are happy to talk about meeting you half way! 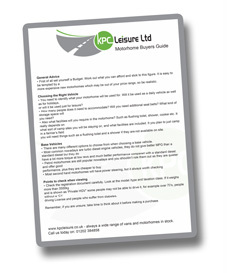 View our Buyers Guide page, or click below to download your free buyers guide PDF!